1. Siberian Knights by OPI. This is my new favorite fall nail polish. I love the dark color and the hint of purple make me especially happy. I snatched this baby up while I was shopping at Publix. Yes, you read that right. Publix, the grocery store. Who knew they sold OPI polish? Not me. It was a great surprise! 2. I'm slightly obsessed with this office. I decided a long time ago that I would have black and white striped curtains somewhere in my next home. This just strengthens that decision. 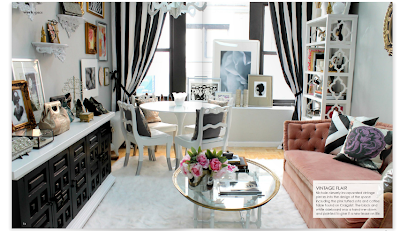 This is the office at Cameo, a Fashion PR firm in NYC. 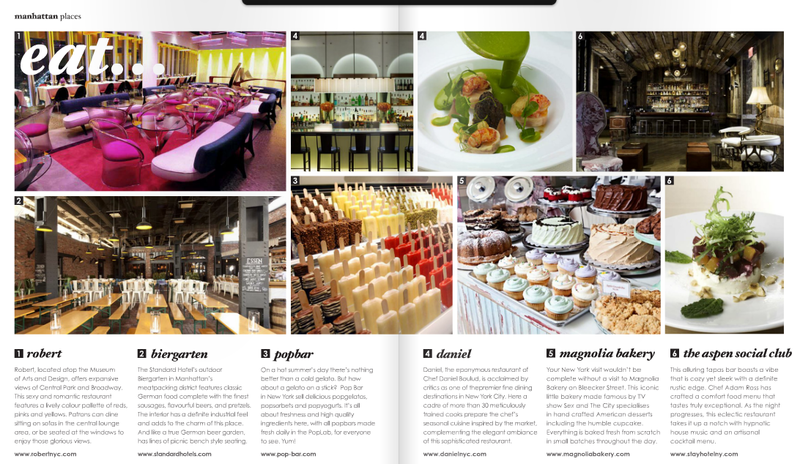 It was featured in the latest issue of Adore Home magazine, and there's so much about it to love. Also, the PR firm's president is named Malorie. Shout out! 3. 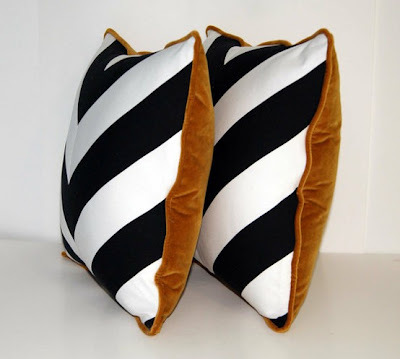 I've been lusting over these pillows ever since I first laid eyes on them. They were for sale on Etsy, but last I checked they were sold out (how could they not be?). But I think this could be a cool DIY project...once I learn how to sew a pillow with piping. The chevron front and velvet back make the perfect pillow team. 4. 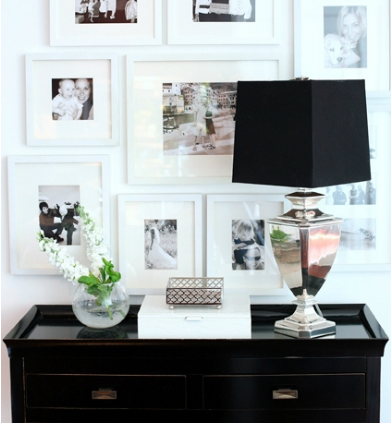 This photo gallery and table styling is gorgeous. I would love to have something like this in my home. This was designed by the Kerrisdale Design Inc., an interior design firm in British Columbia. Glamorous. 5. New York City makes me so happy, and I want to go visit again. Jon has never been before, and I think it's high time he sees why I love it so. Here are some eateries I'd like to try out on my next visit (also featured in Adore Home). Happy Friday to you guys! I hope you have a wonderful weekend!